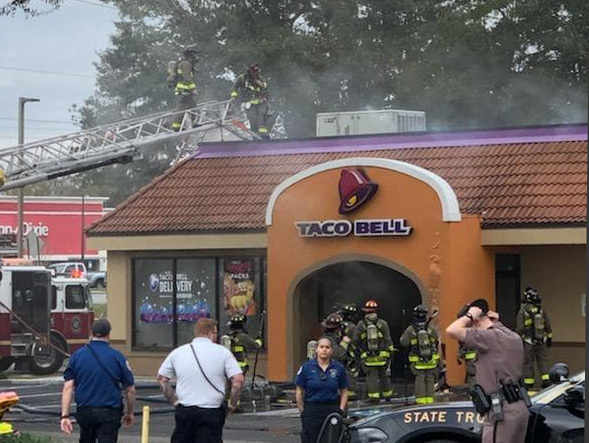 There are plans to reopen the Taco Bell on Nine Mile Road following a fire Wednesday afternoon, and the restaurant’s workers are not out of job. A statement Thursday night from the Taco Bell corporate office said the franchise owner and operator of the location is “working quickly” to reopen. 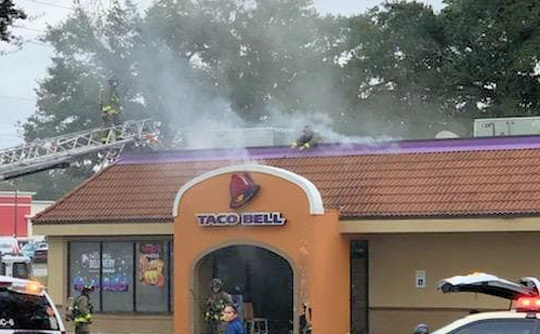 “In the meantime, all team members have been given the opportunity to work at nearby Taco Bell locations,” the Taco Bell Corp. said in an email to NorthEscambia.com. 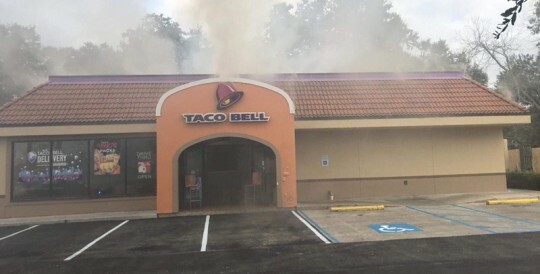 The fire was reported just after 3:30 p.m. The first firefighters arriving on scene reported a heavy ceiling fire, according to Joy Tsubooka, spokesperson for Escambia County. 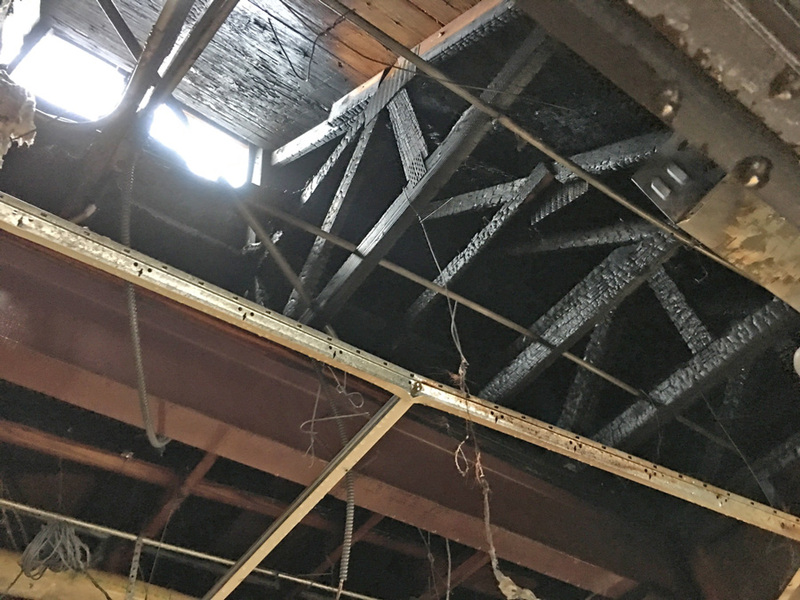 Fire crews were able to save about 75 percent of the building. 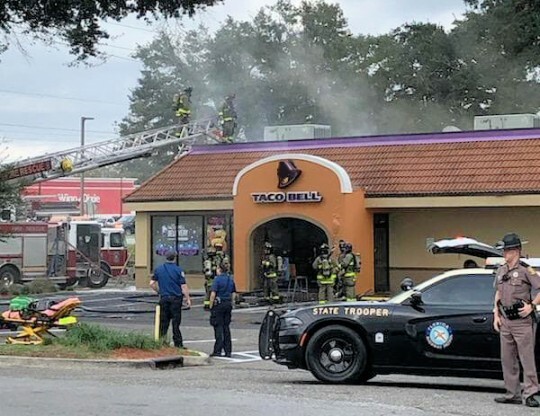 Pictured: The first firefighters arrive on scene at a fire at the Taco Bell on Nine Mile Road in Pensacola Wednesday afternoon. 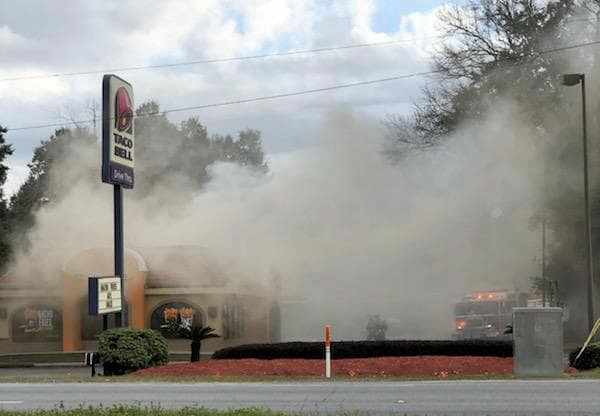 Pictured below: More photos as firefighters battle the fire. 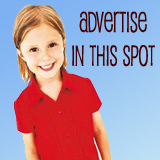 Photos by Dylan Shipman and others for NorthEscambia.com, click to enlarge. I’m devastated over this! Everyone who knows me, knows that I frequent Taco Bell no less than 6-7 times a week (I know, that’s pretty sad). I sure hope they hurry and get it back up and running or its possible that I could starve to death haha! 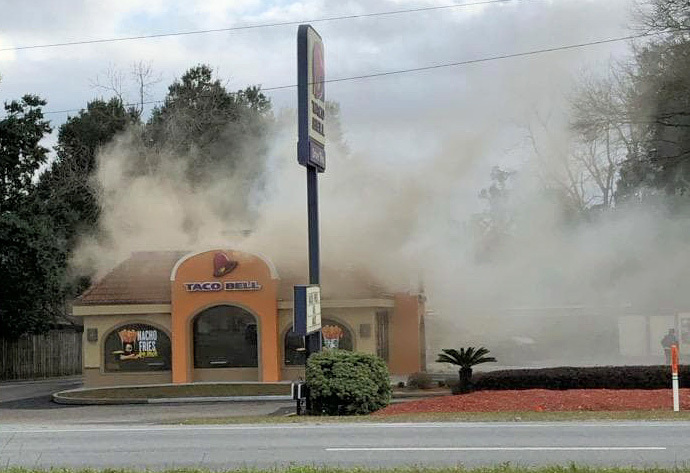 Now I’ll have to drive to Davis Highway and fight my way thru that traffic just to get a taco! Not going to be good….